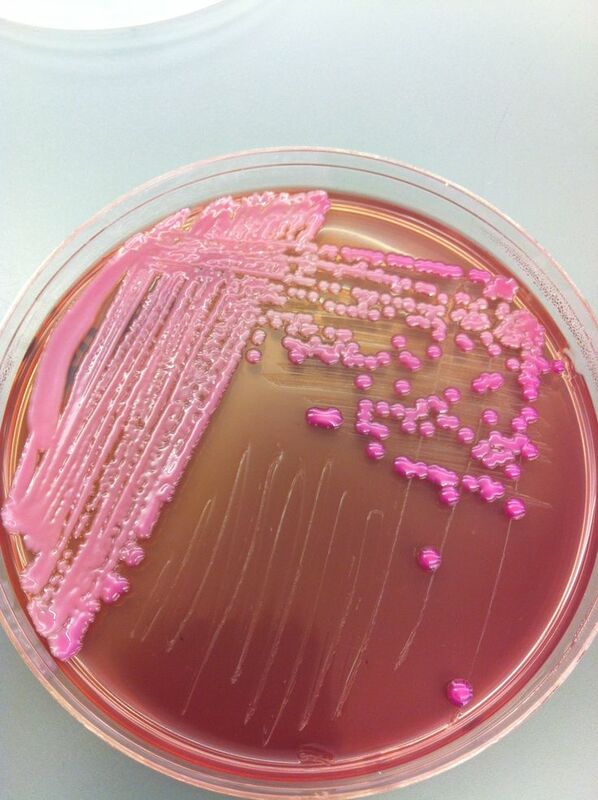 Klebsiella will produce acid, which lowers the pH of the agar below 6.8 and results in the appearance of pink colonies. Klebsiella and Enterobacter, produce mucoid colonies which appear very moist and sticky. This phenomenon happens because the organism is producing a capsule.